There are many churches in Rio de Janeiro (and other places of worship), some of them offer services in other languages than Portuguese. 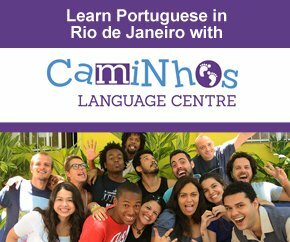 Many times these also functions as hubs for the different nationalities that live in Rio. Located on R. Visconde de Caravelas 48 in Botafogo map. Mass in English every Sunday at 9.30h followed by breakfast. Contact tel 2266-8296 or e mail olmparishat|olmrio.com. Located on Av. do Pepê 1124 in Barra da Tijuca map. Once a month they have service in English. Contact tel 3868-3592/7758-2295 or e mail englishservice|at|boladeneverio.com.br. Located on Praia do Flamengo 344, 9th floor in Flamengo map you have this church that is Protestant and is directed to all Scandinavian countries, they also have activities for children, Swedish newspapers and lots more. Tel Marta Andrade 2553-1149 or e mail kyrkan|at|terra.com.br. Open Tue, Wed, Fri 14h/19h and Thu 14h/22h. On the same address you find The Scandinavian Association that arrange many events and parties. Tel. Patricia Barbulla 99148-3698 or e mal info|at|scandinavian-association.net. Located on Av. Prefeito Dulcídio Cardoso 4351 in Barra da Tijuca map. All services in English. Weekly Sunday morning meeting is at 10h. On the first Sunday of the month they celebrate the Lord’s Supper and afterwards have lunch together. On the 2nd and 4th Sundays in the month they meet at 18.30h for the prayer meeting. Contact them at 3325-8601. Their site: Union Church. 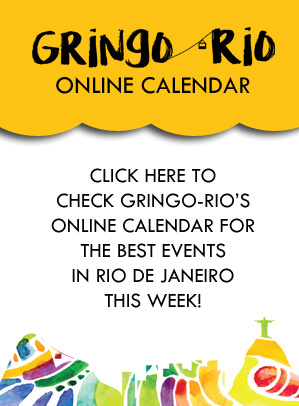 What follows here is a selection from a list of I found on Riotur’s (The official Tourist Organ of Rio) excellent site. I don’t know anything about these places, if you have further info about churches in Rio please contact me. Info: Synagogue with rabbinical services and information on the Jewish community. Time: 16th August, 13th September, 25th October, 15th November, 13th December all these dates 11h. Info: Mystic-religious sessions, uniting catholic, African and indigenous elements in spiritual rituals.